When Porsche last won the Le Mans 24 hour race overall, it was 1998, and the world of sports car racing was absolutely booming. There were top level entries from Toyota, Ferrari, BMW, Mercedes, and Nissan, as well as incoming competition from Audi, Panoz, and Cadillac on the horizon. Despite winning the most prestigious race of the season, Porsche was completely shut out for the rest of the races, and determined that their GT1 was no longer competitive on a world stage. The plan was launched to take a sabbatical from racing in 1999, returning for the new millennium with a brand new Le Mans Prototype car to reassert their dominance. The project, appropriately dubbed LMP 2000, was kept mostly a secret, with very little information leaking out of Porsche's motorsport group. We do know that the car used a similar suspension geometry to the GT1-98 that it was scheduled to replace. The primary changes included more aerodynamically efficient open-top bodywork, and a naturally aspirated V10 engine replacing the turbocharged Mezger-derived flat-six that Porsche had been using effectively since the 1970s. 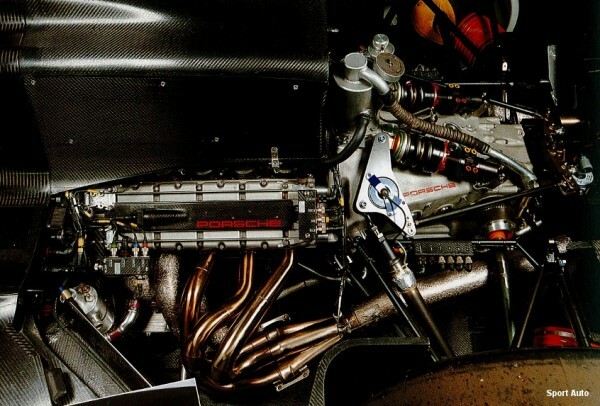 The engine was originally designed for Formula 1 use earlier in the 1990s, to replace the ineffective V12 engine as supplied to Footwork Arrows. For F1 purposes, the engine was a high rev 3.5 liter, but for sportscar use, it was scaled up to 5.5 liters in the same 68 degree V configuration. Physically, the engine was quite short, only 22 1/2 inches in length, and very stiff. It made use of dual overhead camshafts, four valves per cylinder, and offset titanium connecting rods to rev to around 10,000 rpm, producing just shy of 700 horsepower. The new bodywork and a lighter carbon fiber tub were designed in-house overseen by director of motorsport, Norbert Singer. Both the tub and the body panels were then constructed for Porsche by Lola Composites of Britain. Unlike Porsche's previous designs, this new chassis made use of the engine as a stressed member. 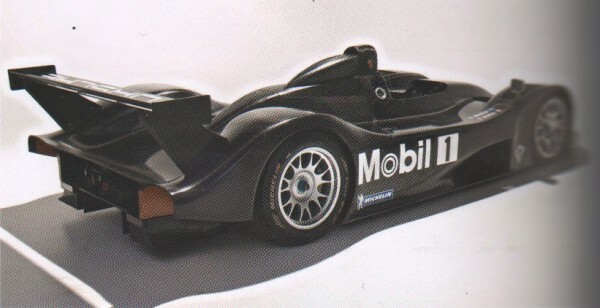 Though it was a tad behind schedule, the car did test in November of 1999 at the hands of Bob Wollek and Allan McNish. Until recently, the only photos the public had seen of the car were small blurry shots from this test. Wolleck called the car "excellent", and it was in line to bring Porsche an expected 17th Le Mans victory. Unfortunately, though, the LMP 2000 would go no further, and no attempt would be made at Le Mans for more than a decade longer than expected. There were a number of factors that led to the demise of the LMP 2000 project. In fact, Wendelin Wiedeking (then President and CEO of the company) later eluded to reasoning threefold behind his decision. The Cayenne - The reason that has been cited more often than not is the need for Porsche to divert funding and engineering talent away from the LMP project and toward the incoming project Cayenne. Jointly developed between Porsche and the Volkswagen Audi Group, this car has single-handedly transformed Porsche into one of the most prolific and profitable car companies in the world. Conspiracy theorists have claimed that Volkswagen boss Ferdinand Piëch made the Touareg/Cayenne deal conditional of Porsche's forfeiture of the LMP project. Whether or not that is true will probably never be known to anyone outside of the room when the deal was struck. Certainly Audi would have had a harder time becoming such a force in LMP racing had Porsche been in lock step battle with them. A lack of competition - Though the competition was absolutely endless when Porsche took their leave at the end of 1998, a strange thing happened at the end of the 1999 season; everyone left. BMW and Toyota left sports cars in favor of Formula 1. Mercedes-Benz left as a result of the rollover accidents suffered by their CLK-GTR program, and returned to DTM racing. Nissan dropped out because of financial woes. Only Audi and Panoz remained, while Cadillac finally readied their Northstar LMP. When questioned about it, Wiedeking scoffed, saying "It's really just VW... and some smaller brands." Too much competition - Away from the race track, Porsche saw the writing on the wall in the supercar market. They hadn't had a "true" supercar since the 959, and many competitors were readying exotics to bring to market. Aston Martin had the Vanquish, Mercedes the SLR McLaren, BMW the Z8, and there were new launches from Ferrari and Lamborghini to contend with. Adding to that, there were concept cars from Bugatti, Bentley, and Volkswagen. In the end, the project wasn't a complete loss, as the engine, originally for Formula 1, then for the LMP project, eventually found itself under the rear engine cover of Porsche's phenomenal Carrera GT exotic. The concept, first unveiled at the Paris Auto Show in late 2000, used many of the components directly developed for the race car, including the engine and gearbox completely unchanged. When the car did reach production, the engine was detuned, some bodywork changed, and the manumatic gearbox swapped for a 6-speed manual unit. 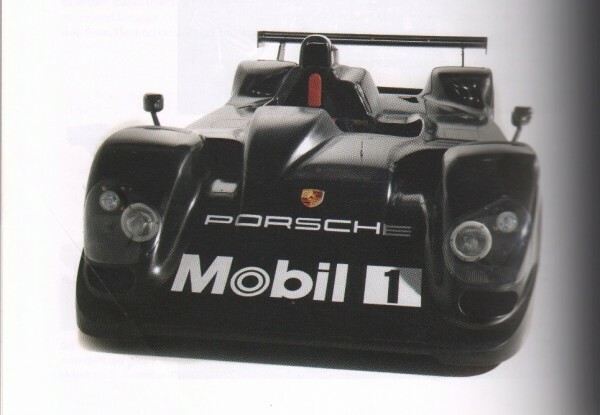 In retrospect, dropping the LMP 2000 project was probably in Porsche's best interest. The move allowed Porsche to concentrate on developing the proverbial cash cow Cayenne and push the range topping Carrera GT into production to meet market competition. There was also the benefit of preventing Porsche from dumping loads of capital into a racing program that, with only Audi as competition, would not have proven much in the long run. Porsche's new 919 racer, in many ways, was worth the wait. First, it will hopefully provide Porsche with some much-needed real-world testing data on their hybrid system, with the technology eventually trickling down to the road cars. Second, the competition is heating up, as Audi and Toyota remain for 2014, and rumors of Ferrari entering the fray in 2015 abound. Third, and possibly most important, Porsche is in a much more profitable and capital flush state than they were back in 1999. The new 919 program will prove to be the LMP project that Porsche has been promising for 15 years. LMP 2000 history, engine specifications, chassis construction, and reasons for discontinuing all sourced from Karl Ludvigsen's amazing Porsche: Excellence Was Expected: The Comprehensive History of the Company, its Cars and its Racing Heritage . For more information, read pages 1473 through 1480. Could Red Bull Be Porsche’s Title Sponsor Of Their 2014 LMP1 Team? Very interesting indeed. Didn’t even know that the project had benn led to this level of maturity. Thanks for quoting your source!